Dog Harness after Surgery There is 1 product. 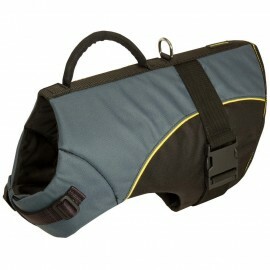 Heavy-stuffed water-resistant nylon vest harness to warm Labrador in cold weather or to support in postoperative period. Two ways adjustable harness with super firm upper handle and welded D-ring for leash fastening. Protects and provides exceptional comfort for your Lab.